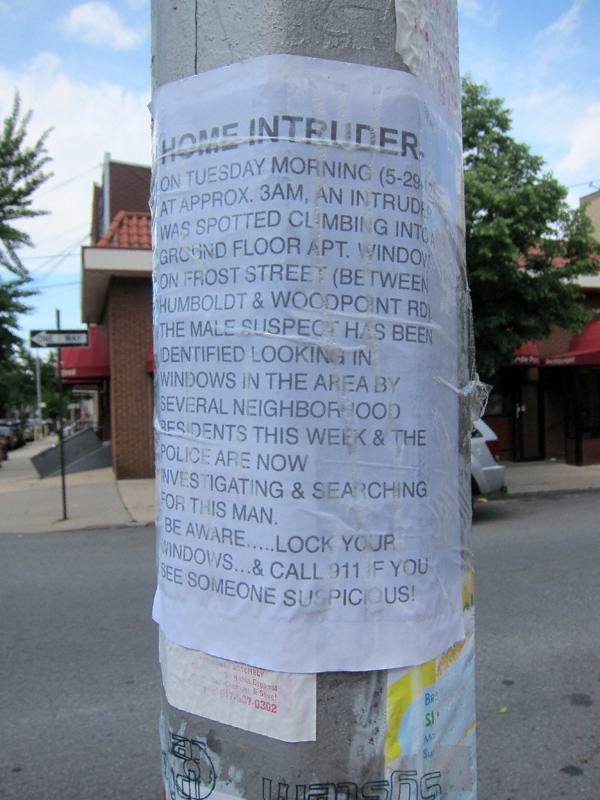 One Tuesday morning (5/29/2012) at approx 3:00 a.m., an intruder was spotted climbing into a ground floor apartment window on Frost Street (between Humboldt and Woodpoint Rd.). The male suspect has been identified looking in windows in the area by several residents this week & the police are now investigating & searching for this man. Be aware… Lock up your windows & call 911 if you see someone suspicious!